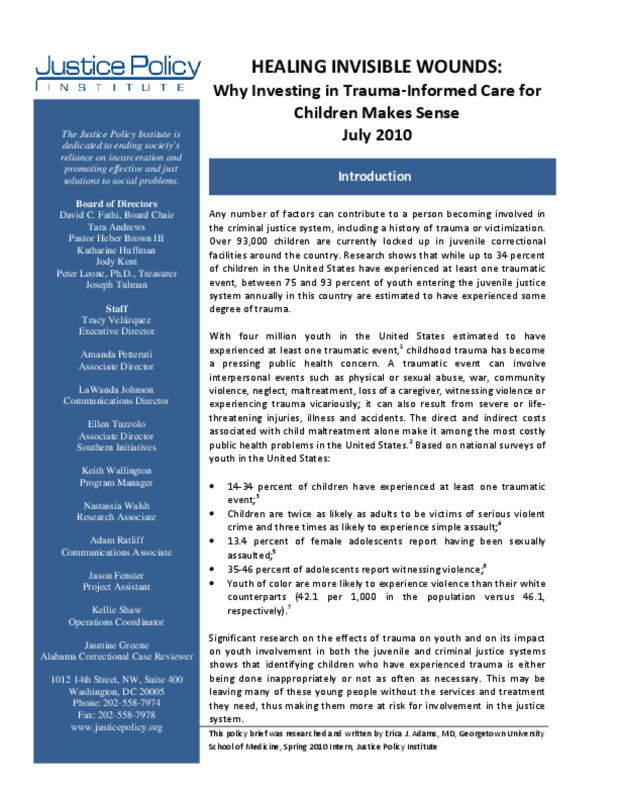 Examines research on the effects of childhood trauma on development and its impact on youth involvement in the juvenile and criminal justice systems. Outlines the need for better reporting, screening, and evidence-based treatments and interventions. Copyright 2010 Justice Policy Institute.